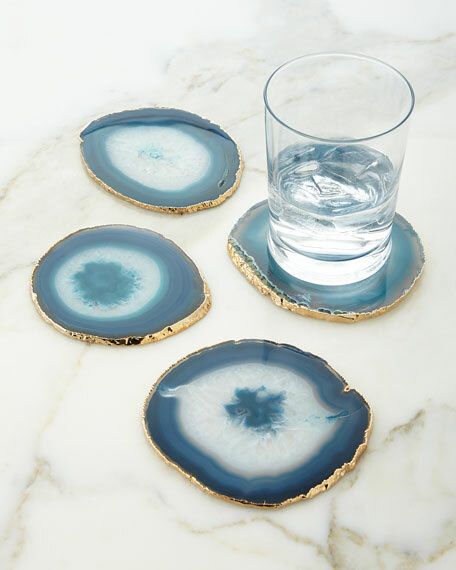 Handcrafted coasters. Natural agate with 18-kt. gold-plated edges. Coasters may vary slightly in color, shape, and pattern. Set of four; each approximately 4"Dia. Imported. 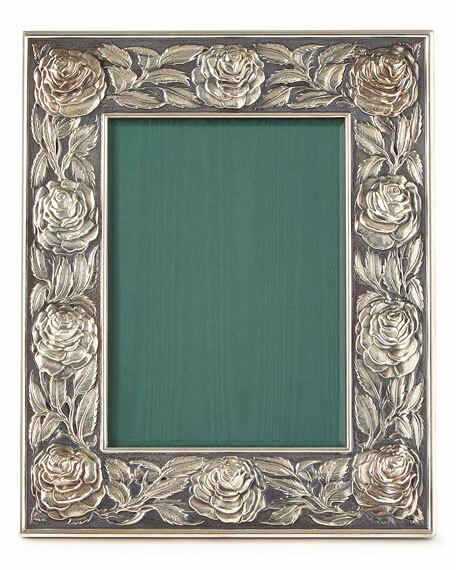 Hand-finished frame. Dimensions given are photo size. Sterling silver. Inset beveled glass. Backed with handmade leather. Two-easel; stands vertically or horizontally. Made in Italy. 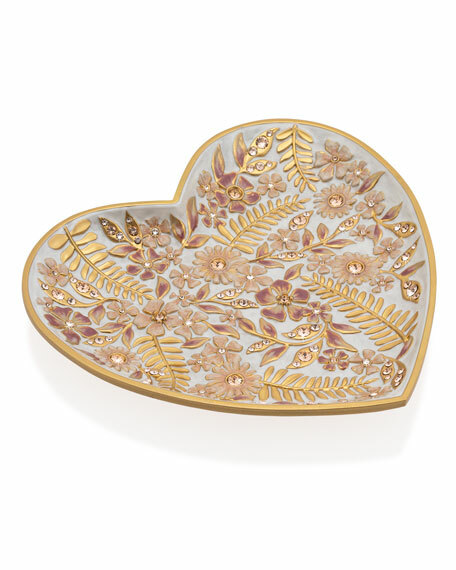 Handcrafted heart-shaped trinket tray. 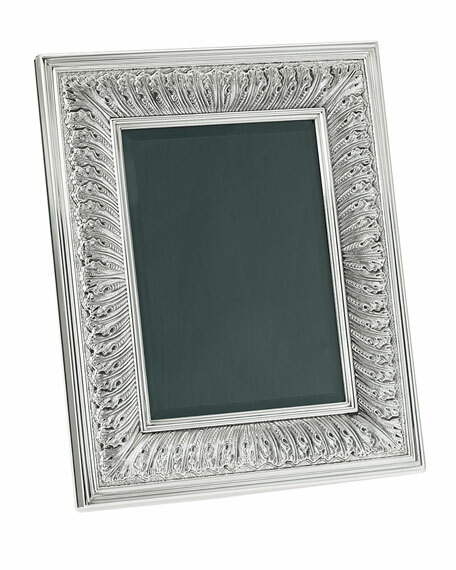 Pewter with a 18-karat gold finish. Hand-set with Swarovski crystals. Signature Jay Strongwater box with brown velvet protective bag. 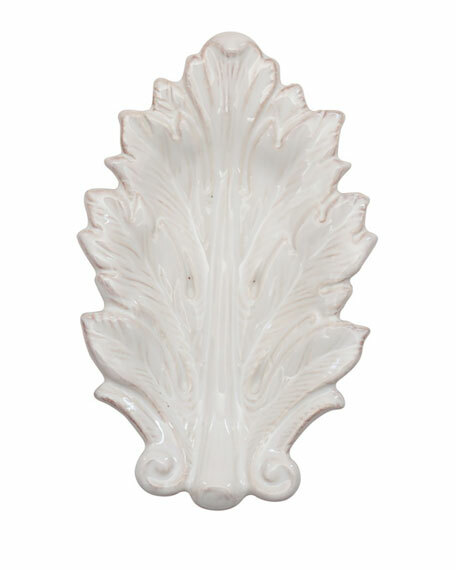 5.5"W x 4.75"D x 0.75"T. Imported.